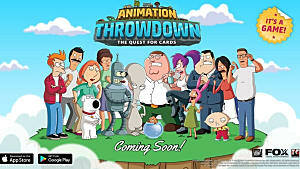 There's a huge number of card combos to be discovered through trial and error in Animation Throwdown. 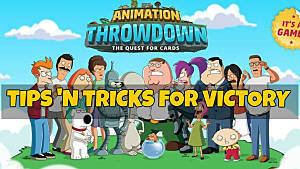 Whether you are rocking an all Bob's Burgers deck or mixing up Futurama and Family Guy cards, what you want most is versatility so you can always make strong combos. 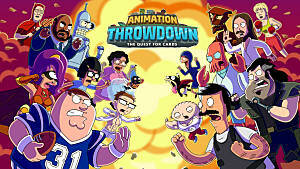 The Airplane card, for instance, has 20 potential combos, while Boyz 12 has 30 and Bullock has a whopping 49. Beyond versatility, the next thing to look for when building combos is card rarity. 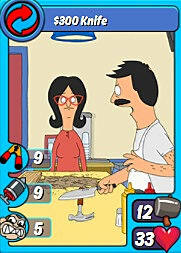 The rare Crack card may only have 20 combos, but they are all incredibly useful. It's hard to give a specific "best" combo since each one will be different depending on how far you've upgraded your cards. 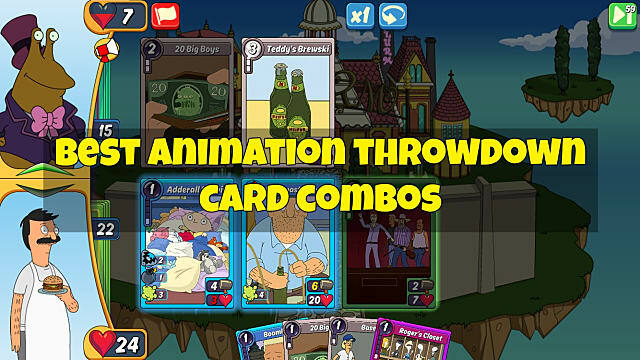 Keep in mind that if both cards are still at level 1, the combos listed below won't be nearly as effective. 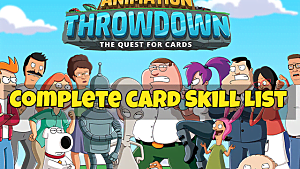 Combos made with non-upgraded cards will either have no skills, lower powered skills, or significantly lowered stats, so your mileage may vary. 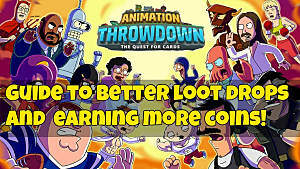 If you are just getting started, check out our full breakdown of every skill right here, and if you need help getting better cards to make combos, check out our guide to better loot drops. Cards available fairly early on without having to spend a lot of time upgrading and seeking out new packs. Sturdy and Shield skills at the same time? Klaus is your all-purpose defender sure to vex the opponent in early matches. 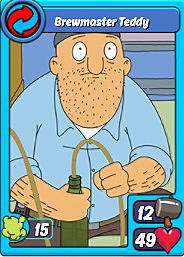 Just mix Klaus with anything alcohol related, like the base Alcohol card, Roger's Place, or Teddy's Brewski. 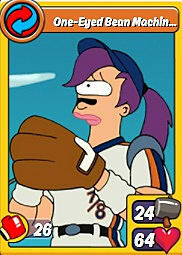 You get better results using rarer cards to fuse the combo, like Alamo Beer or Pawtucket Patriot Ale. Mixing Bullock with some anything of an addictive nature leads to high health and a trio of skills: Sturdy, Boost, and Gas. This combo makes an excellent all around card that's unlikely to die quickly and upgrades your nearby cards. 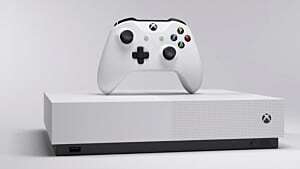 The basic combo works with Painkillers or Manitoba Cigarettes, but you'll get higher stats with Crack, Toad Licking, or Butterscotch Cookies (bet you didn't know those were in the same category as crack cocaine). 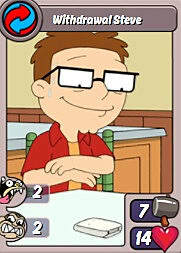 The Steve version of the previous combo, this one comes with both Payback and Crazed skills at the same time, so Steve is always dealing loads of damage. All of the same cards as Responsible Cocaine User Bullock work to create this combo - Painkillers, Crack, Dr. Flim Flam's Miracle Cream, Toad Licking, and yes, Butterscotch Cookies. With his super high Gas skill, Teddy will take down even the most high health card in just a few turns. To get this one, just add Teddy to anything of a boozy nature. Roger's Place, Alcohol, Teddy's Brewski, The Drunken Clam, Personalized Beer Mug, Best Swamp Parties, or Beer Water will do just fine. This combo does require a rare card, but it shows up fairly early. 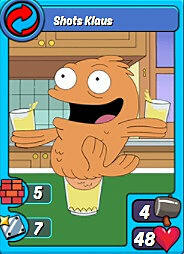 Here you just need to combine Fry with Slurm and you get a super powered card with Leech and Cripple All! For a more powerful version much later on in the game, you can combine the legendary Phillip J. Fray with Slurm instead. These combos will become available as you spend time winning matches and doing special events to get a bigger deck. 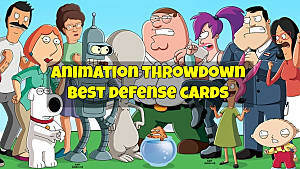 They usually involve rare, epic, or legendary base cards. This will be the go-to combo you will always be trying to draw for its overpowering nature: high attack, high defense, and the Jab, Crazed, and Crippled skills. You can make the $300 Knife with a rare Bob plus most types of weapons, from the Fukinawa to the Pantry Guns. 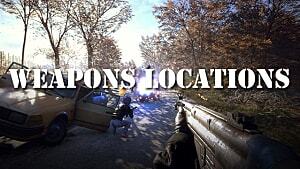 The combo gets truly overpowering when adding in more rare weapons though, like Rifle, Flare Gun, or Long Stick With Sharp Rock. Good lord, Peggy is crazy when drunk! With Cripple, Jab, and Crazed, she can cut through enemy defenses and gets more powerful with every attack! 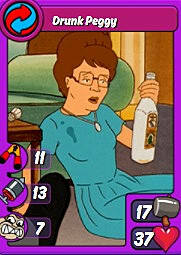 Regular Peggy can make this combo, as can the devastating Mythic Peggy. To get the Drunk version, add her to something like Teddy's Brewski, Pawtucket Patriot Ale, Wine Shoe, or Olde Fortran Malt Liquor. Sturdy, Shield, and Crazed - Billdozer is an absolute beast! 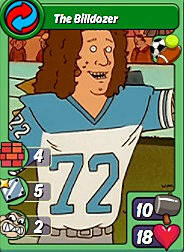 Most of his combos require rare or higher cards, with the exception of Cougar Football Team and School. To get the best version of this one, mix Bill with Touchdown Dance, Pearl Bailey High School, Tom Landy Middle School, Wagstaff School, or Mars University. 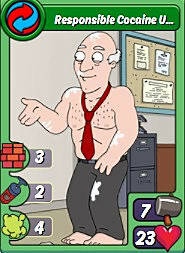 With extremely high health in addition to the Sturdy and Crazed skills, this might be the best card in the game. Not only will it take very little damage, but it will steadily increase in power every turn to overwhelming levels. 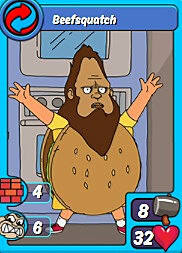 You can get Beefsquatch by mixing Gene with Pizza Overlord, The Panhandler Steak House, Bob's Burgers (this one is the best), Elzar's Fine Cuisine, Restuarant, or McBurger Town. With a stunningly high Punch, One Eyed Bean Machine can quickly break through an enemy deck with high health and defensive. To get this killer combo, mix Leela with nearly anything sports related, such as Cougar Football Team, Baseball, Wrestling, Blernsball, or Touchdown Dance. For an absurdly high level of Punch use a Mythic Leela instead! These are the best combos we've been using to dominate in Arena matches and take down tough Adventure quests. What are some of your favorite combos we should try out?